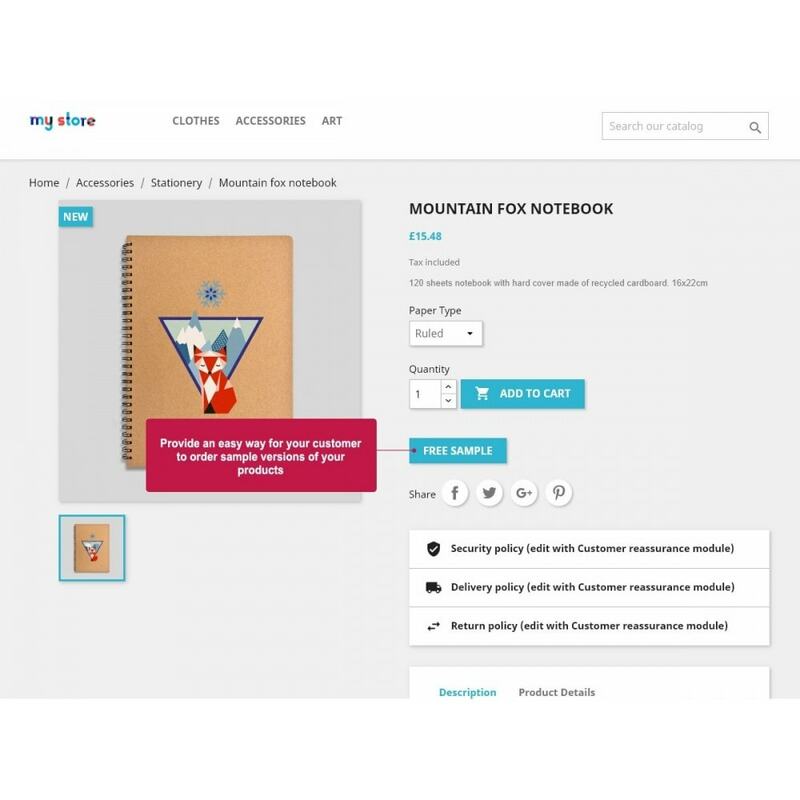 need for you to create multiple versions of the same product and list them separetly on your site in order to offer sample products. 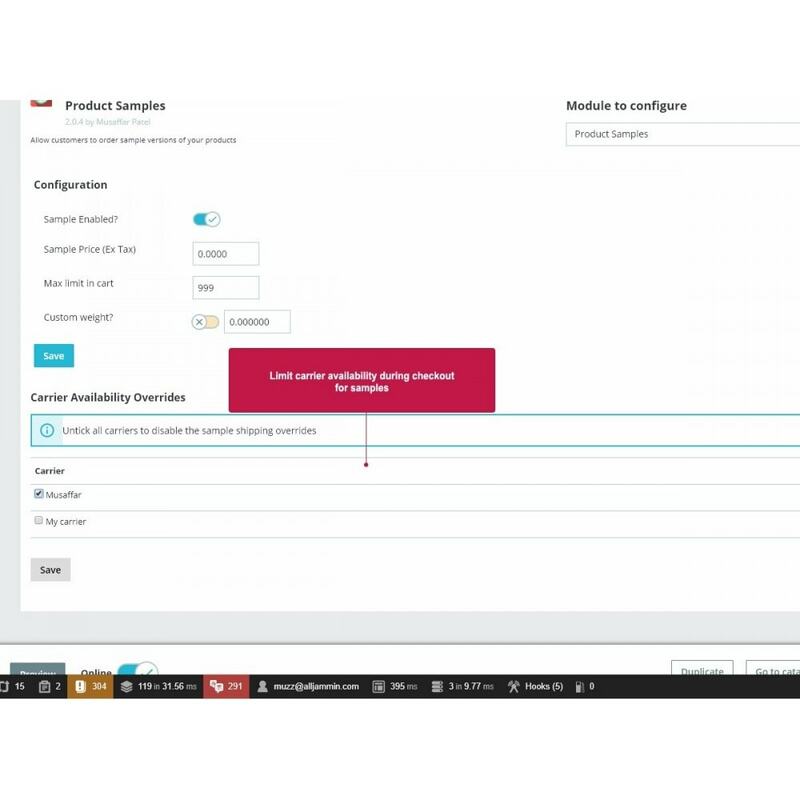 Easily make products in your store available as sample in addition to the full product, with the ability to choose which products should be offered as samples. 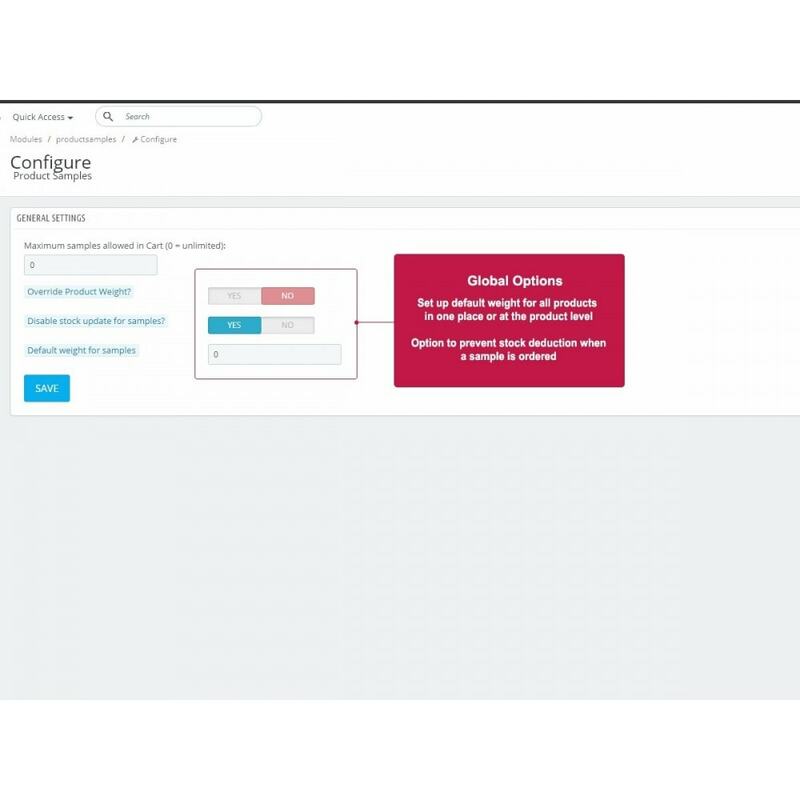 This eliminates the need to create separate and duplicate products or create attributes to make a product available as a sample. Offering a product as a sample has never been easier. Useful for merchants selling products such as carpets, tiles, materials etc for which customers would often request a sample before they commit to a full order. Make your products available for sample order. Define a sample price for your individual products or offer free samples. 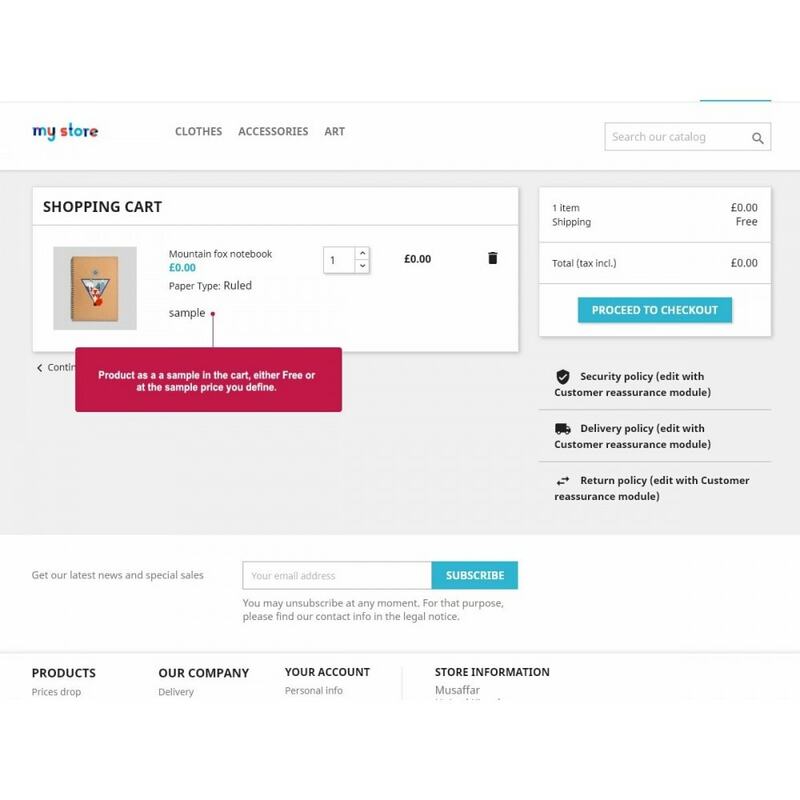 Customers can quickly easily add a sample version of a product to their cart, straight from the product page. 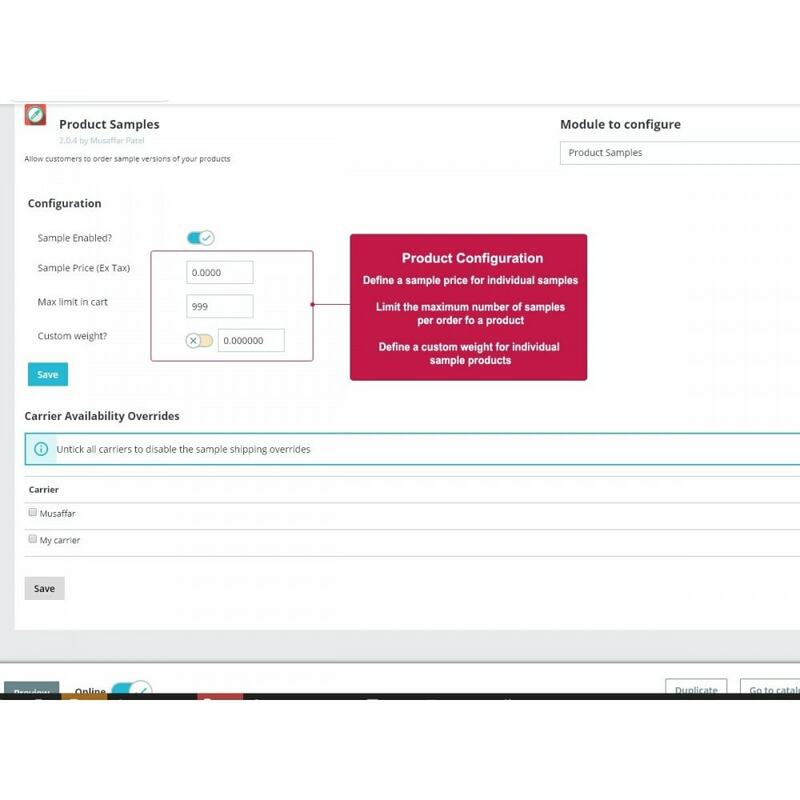 No need for customer to select attributes or click through related produycts to get to the sample product. One large "order sample" buttin is placed right below the normal add to basket button.